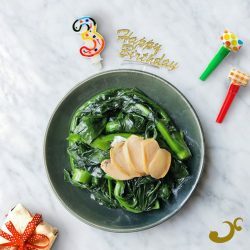 Nara turns 3, and we're giving all our Nara Rewards members a treat - enjoy abalone with kailan at just $3! Get a $10 return voucher with every 3-4 pax Chinese New Year set purchased! Don't miss it, try it now! 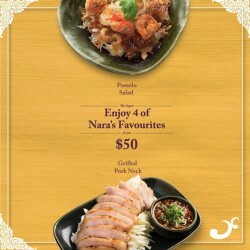 Enjoy Nara’s offers for $50 promotion features our Pomelo Salad; a delish mix of juicy fresh pomelo flesh with crispy fried onion, crushed cashews and sweet and savoury sauce!This will be paired with the Grilled Pork Neck, a perfect balance of half fat, half tender flesh slow cooked on a grill till the surface is caramelised and infused with a smoky flavour. term and condition apply. 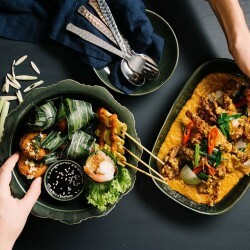 Enjoy delicious and fiery authentic Thai cuisine from Nara Thai and receive a S$10 return voucher with every S$80 spent on food items. It's Beer Time! 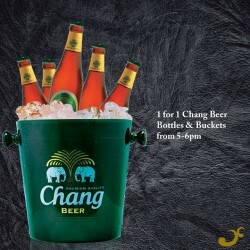 Get 1-for-1 Chang Beer bottles or beer buckets from 5-6pm at Nara Thai Ion Orchard in conjunction with Ion Orchard's 5th Anniversary!